During our open hours you may work independently or with instruction. We have still life collections, plants, flowers, bones, mirrors for self portraiture and a wonderful art library if you want to sit and read. 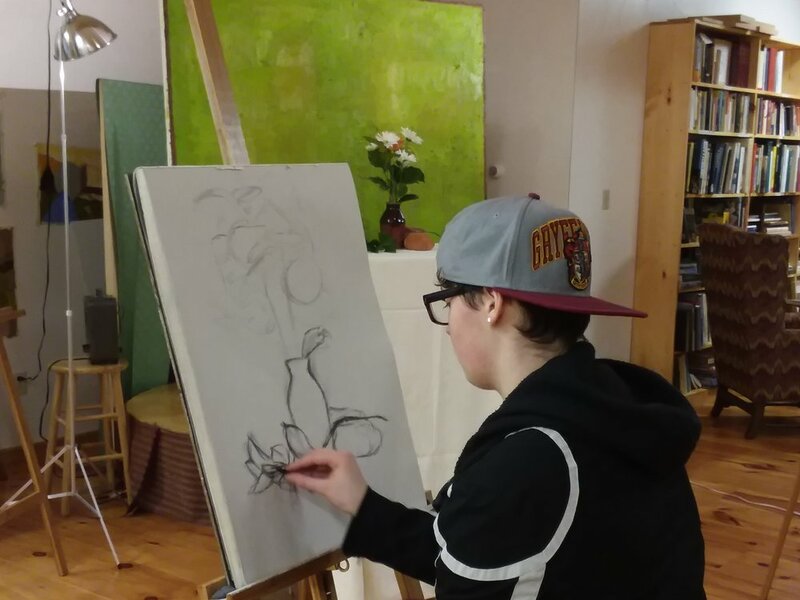 All drop-in activity at The Drawing Studio is supported on a pay-what-you-can donation basis. We also offer more structured classes in drawing and painting. See details here. Everyone is welcome. Feel free to bring a friend or your family if you would like to draw together. Music, loud conversation, rough-housing and cell phone use are welcome by the Whetstone Brook outside..haha.